For professional applications where powerful devices are needed, there are also cheap models. 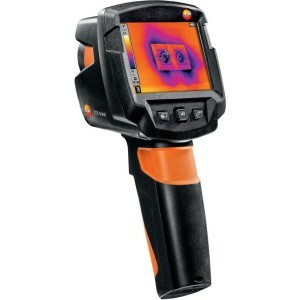 The thermal imaging cameras can be used in daily use, where challenging and versatile issues are investigated and reliable measurement results are required. 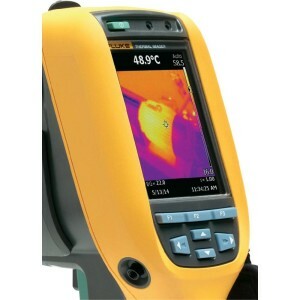 Application areas of the presented thermal imaging cameras are the use by the professional in building diagnostics, laboratory and measuring technology, medical technology and the safety sector. The FLIR i5* and FLIR i7* devices from the FLIR ix series have a 100 x 100 pixel or 140 x 140 pixel thermal sensor. The FLIR i7 was also equipped with an optics with a larger field of view of 29 ° C x 29 ° instead of 21 ° C x 21 °. In contrast to the FLIR i5, the FLIR i7 can calculate the min and max value of a surface in the thermal image and display the isothermal representation (below and above). 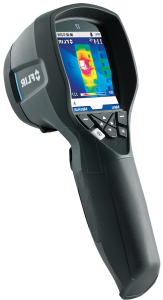 Depending on the desired sensor resolution, users who are looking for brand quality, opt for the FLIR i5 or FLIR i7. 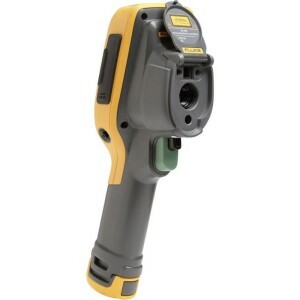 It is used in professional applications in building diagnostics and technology as well as in electronics and industry. Like the FLIR E4, the professional FLIR E5* thermal imaging camera has the MSX® image overlay function (Image-Combining). 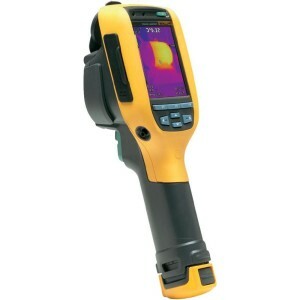 In addition, it scores in comparison with better thermal sensitivity and significantly higher sensor resolution. 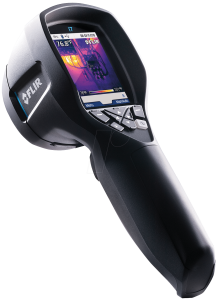 For users who want a high thermal resolution and at the same time a simple to use brand product are well advised to buy the FLIR E5. It is suitable for professional use in construction, industry and technology. It leaves nothing to be desired by the professional. 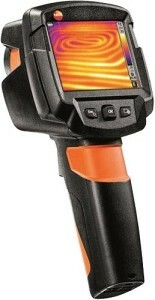 The large 3.5 inch display and the high sensor resolution make the Testo 870-1* particularly interesting. Unfortunately, an integrated digital camera (visible spectrum) is missing, which is only found in the Testo 870-2. 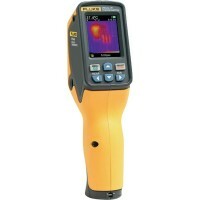 The device delivers sharp images and is recommended for the thermal imaging camera professional, who does not need any special additional functions, but wants a good performance in thermal imaging. Application fields are through the simple operation of heating construction, building trade, maintenance and facility management. Compared to the FLK-Ti90, the FLK-Ti95* offers a slightly higher sensor resolution and an integrated picture-in-picture display. Unfortunately, there is a lack of an image-combining feature. In addition, the number of available color palettes in FLK-Ti95 was increased by 3 to 6 pallets. The Fluke model is for users who want to buy a brand product and do not necessarily need an image-combining presentation. Due to the very robust design, it is especially recommended for rough working environments and mobile use. This portable thermal imaging camera* is particularly suitable for use in object protection, animal observation and security applications. 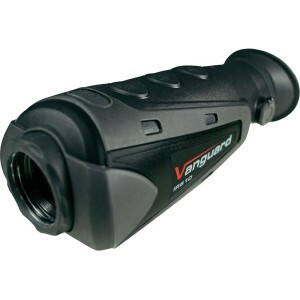 It has a high sensor resolution and a 2-fold zoom that makes objects easily visible in the dark. The professional mounts it on a tripod and monitors the image on a screen via the video output. In addition, an LCOS viewfinder screen is integrated.